Oil and Natural Gas Corporation Limited (ONGC) has invited applications for the post of Apprentice. A total of 4104 vacancies have been notified in Oil and Natural Gas Corporation Limited. Candidates having requisite qualification and experience in the relevant trade under Apprentices Act 1961 are eligible for the posts. Interested and eligible candidates can apply to the post through Online Portal www.ongcapprentices.co.in/ www.ongcindia.com on or before 28 March 2019. 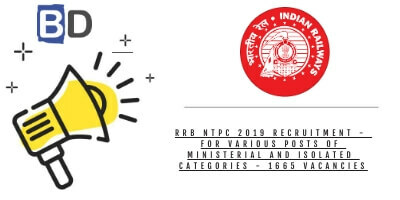 Candidates are advised to check the Location-wise number of posts available across India, eligibility criteria and other details in this post. The apprentices are eligible for monthly stipend as per Apprentices Act, 1961, Apprenticeship Rules 1992 as amended from to time. The trainee is not eligible for any TA-DA/Boarding or Lodging expenses incurred during the period of training. ONGC will not provide any financial assistance towards transportation. Position-wise vacancies is available on the Official Notification. Accountant: Bachelors Degree in Commerce from a Govt. recognized institute/University. 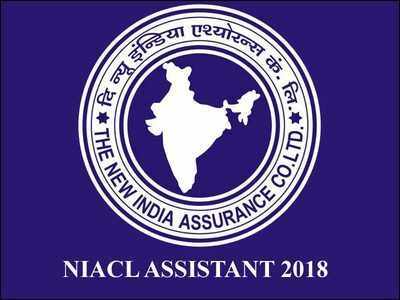 Secretarial Assistant/Computer Operator and Programming Assistant (COPA)/Draughtsman (Civil)/ Electrician/Electronics Mechanic/Fitter/Instrument Mechanic/Information and Communication Technology System Maintenance/Machinist Mechanic (Motor Vehicle)/Mechanic Diesel/Refrigeration and Air Conditioning Mechanic/Surveyor/Welder: ITI in relevant Subject. Civil/Computer Science/Electrical/Electronics/Mechanical: Diploma in the respective disciplines of Engineering. 18 to 24 years as on 28th March 2019. Age relaxation for reserved category candidates provided as per govt. norms. Please refer Official Notification for more details. Selections for engagement of Apprentices would be based on the basis of marks obtained in the stated qualification and Merit drawn thereon. In case of a similar number in merit, a person with higher age would be considered. How to apply for ONGC Apprentice Jobs 2019? Interested candidates can apply to the post through the online mode on or before 28 March 2019. Candidates are advised to take a printout of the finally submitted online application for future reference. Aspirants can check the official notification of the ONGC Apprentice – Recruitment 2019 & the Application Link of the ONGC Apprentice Recruitment 2019 from the link that is mentioned below.